Often when an estate plan is executed close to the time of death or an estate plan favors one heir over others a will contest will ensue. Unfortunately will contests are expensive to litigate because emotions run high among family members and in the end the estate assets will be depleted and the family relationship is destroyed. 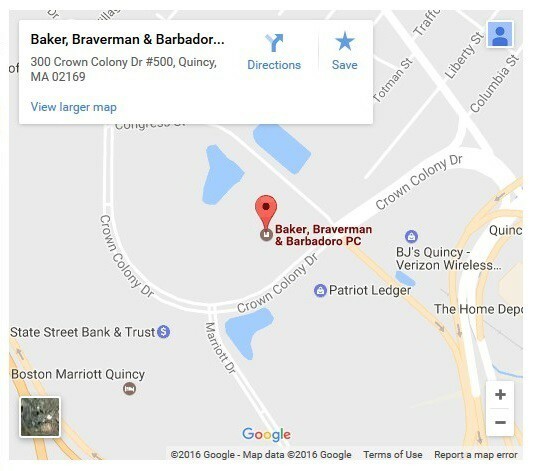 At Baker, Braverman & Barbadoro, P.C. we provide our clients with practical advice on resolving issues involving estate disputes through mediation and other dispute resolutions methods. Attorney Susan Molinari has assisted numerous clients to resolve disputes concerning will and trust documents. As a litigator and trained mediator Attorney Molinari has experience in cutting through the emotions and counseling both individuals and multiple parties to find a practical and less expensive resolution to their differences. Attorney Molinari’s expertise was instrumental when a division of an estate caused several siblings to contest a will that appeared to benefit a sister who provided care for the deceased parent. After successfully keeping the litigation focused on the legal issues, Attorney Molinari was able to find the right point in which to propose and counsel the client to a fair and equitable resolution without further court involvement. Attorney Molinari’s efforts saved the client thousands of dollars that would have been spent in court and achieved a result that best served the wishes of the decedent and the client’s best interest. Attorney Molinari represents individual clients and is also available as a mediator to assist all parties in finding a reasonable solution to their disputes.